*Online Premiere* Fall River, Massachusetts — once-thriving, now one of the worst cities in the country according to USA Today — holds the story of the young filmmaker Pat Heywood and his grandmother, Margaret. This poetic portrait of their relationship after the death of his mother is both an excavation of past trauma and an exploration of their hometown, ravaged by poverty and desolation. 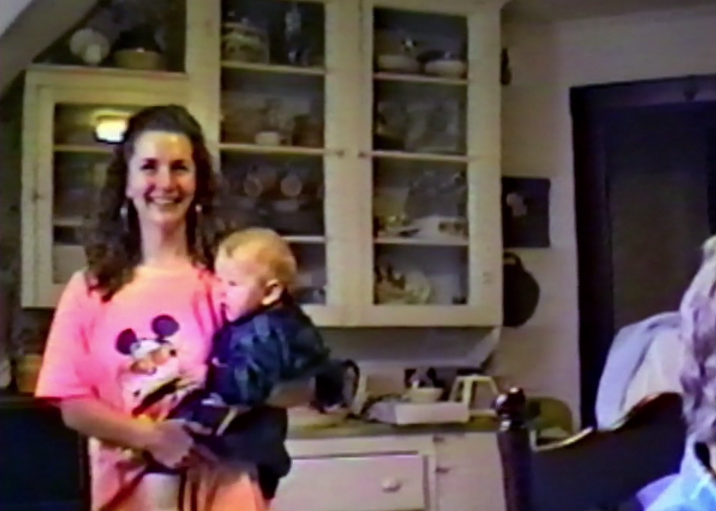 Compiling home videos from the 90’s of Heywood as a baby with his mother, along with evocative 16mm visuals of Fall River today, the film is narrated by a series of phone conversations with Heywood and his adopted guardian about the struggles they’ve faced and the tragedy that binds them. Directed by Jamil McGinnis and Pat Heywood, “Fall River,” never descends into despair, instead focusing on a bond forged in darkness. (7 minutes). Directed by Jamil McGinnis & Pat Heywood. Edited by Katie Turinski.